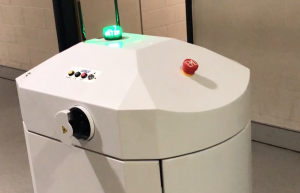 Hey all – here’s a brief video of one of the library robots at the National Library of Australia. Awesome and creepy! The voice is a little scary. This has terminator written all over it. I’m sorry, I can’t do that dave.